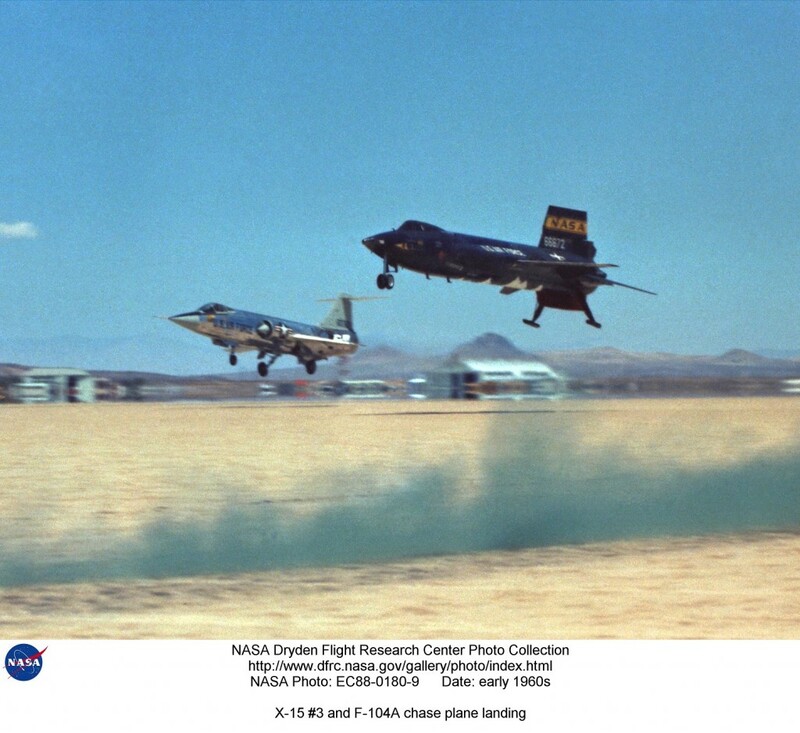 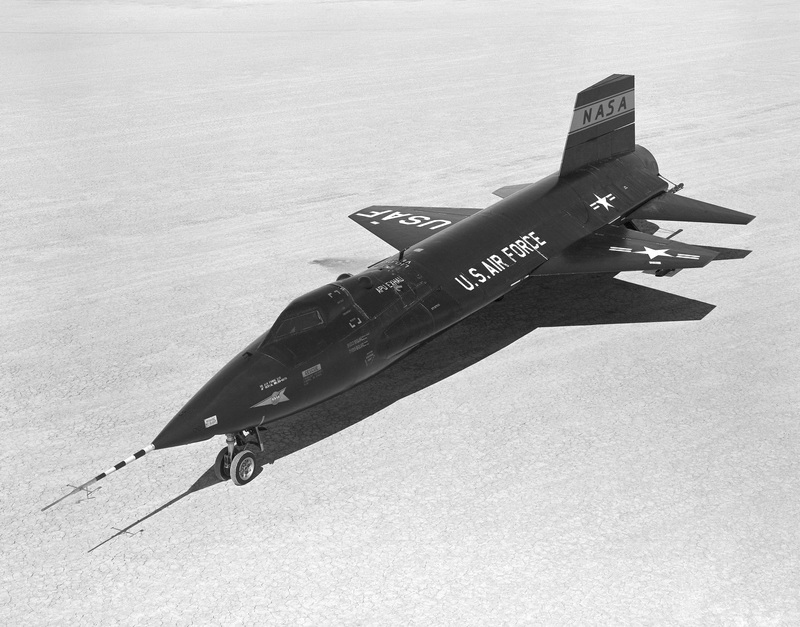 21 August 1967: On the 186th flight of the X-15 program, the modified North American Aviation X-15A-2, 56-6671, made the first of two flights with a heat-protective ablative coating, designed to protect the steel structure of the rocketplane from the extreme heat of flight at high Mach numbers. 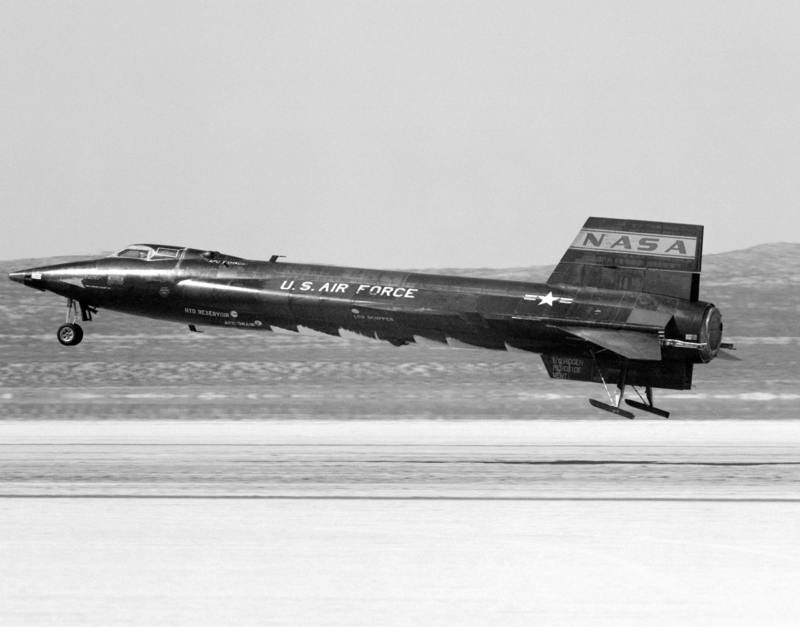 After a landing accident which caused significant damage to the Number 2 X-15, it was rebuilt by North American. 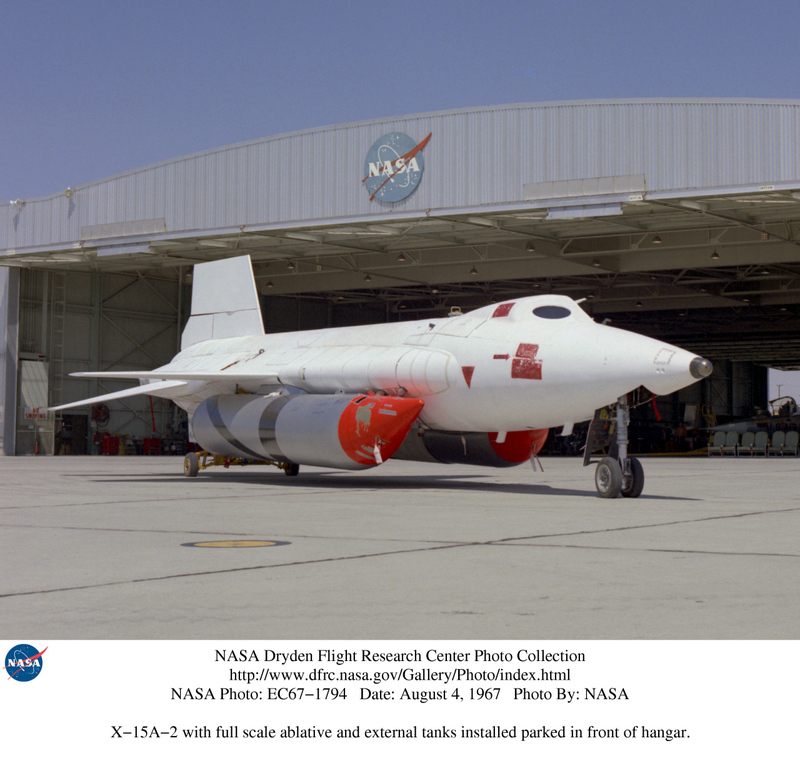 A 28-inch (0.71 meter) “plug” was installed in the fuselage forward of the wings to create space for a liquid hydrogen fuel tank which would be used for an experimental “scramjet” engine that would be mounted the the ventral fin. 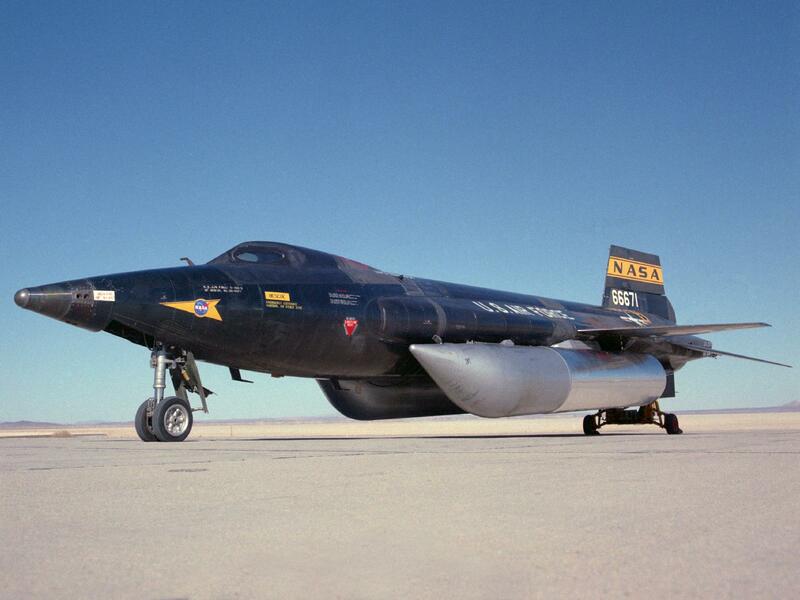 The modified aircraft was also able to carry two external fuel tanks. 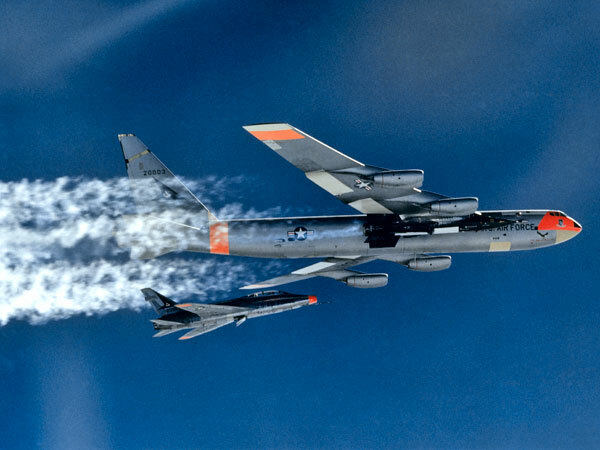 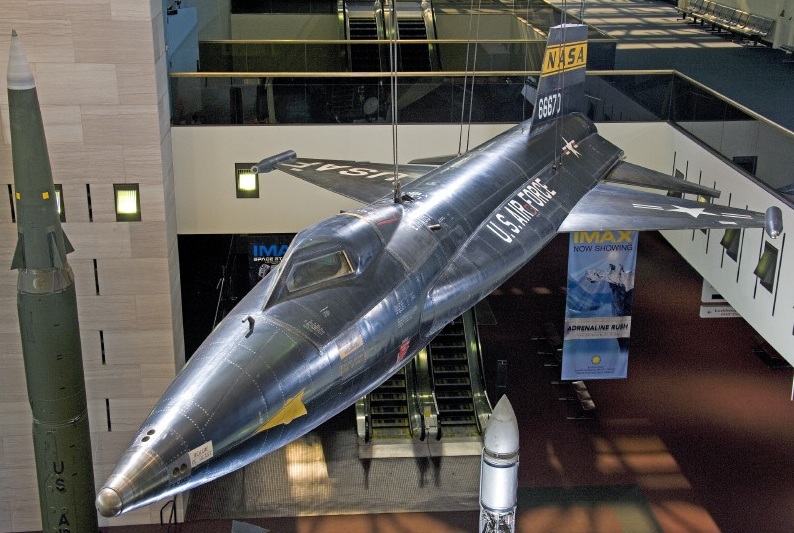 It was hoped that additional propellant would allow the X-15A-2 to reach much higher speeds. 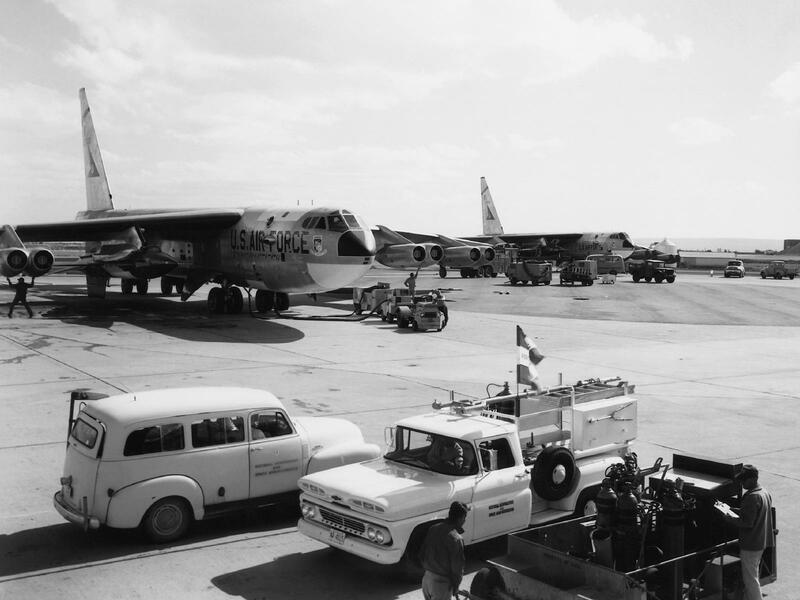 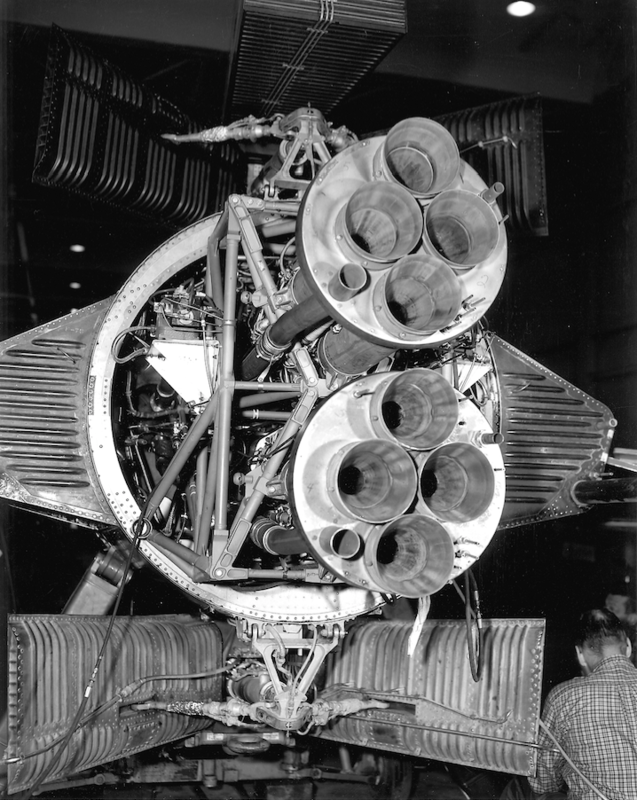 The external tanks were not carried on the 21 August 1967 flight. 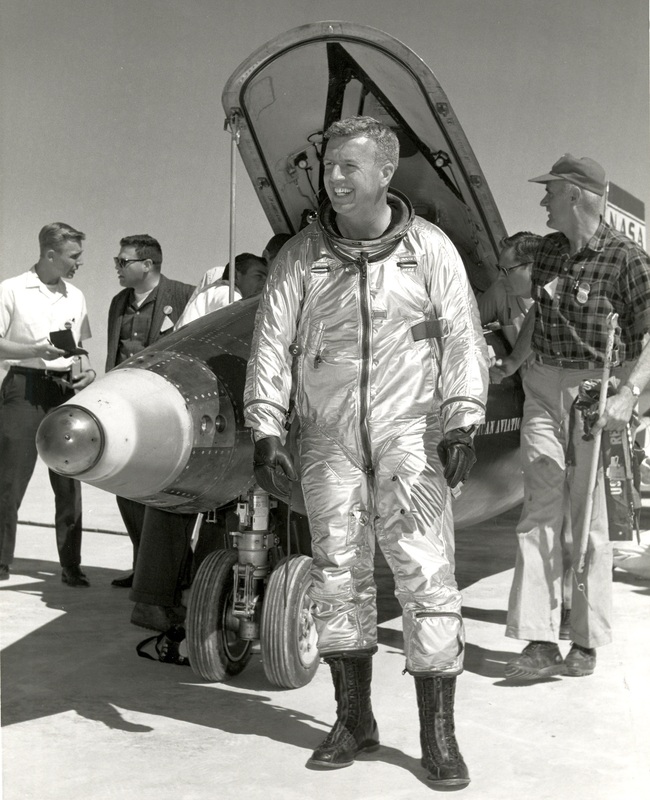 With Major William J. 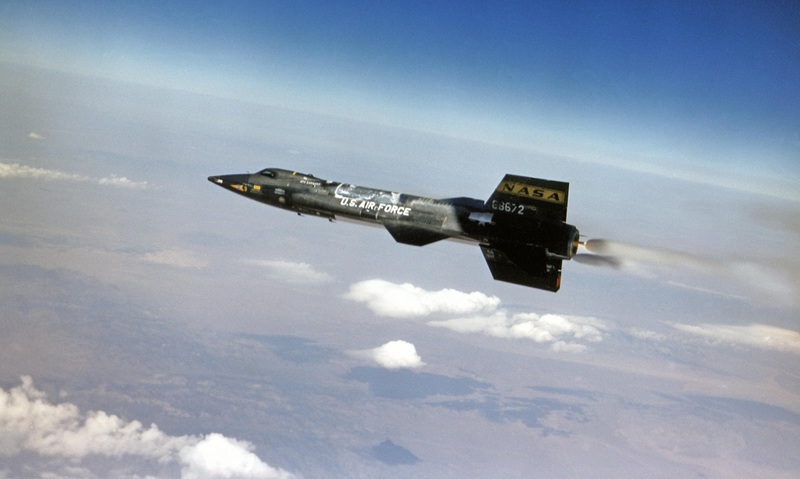 (“Pete”) Knight, U.S. Air Force, in the cockpit, the X-15A-2 was airdropped from the Boeing NB-52B Stratofortress, 52-008, known as Balls 8, over Hidden Hills Dry Lake, just on the California side of the border with Nevada. 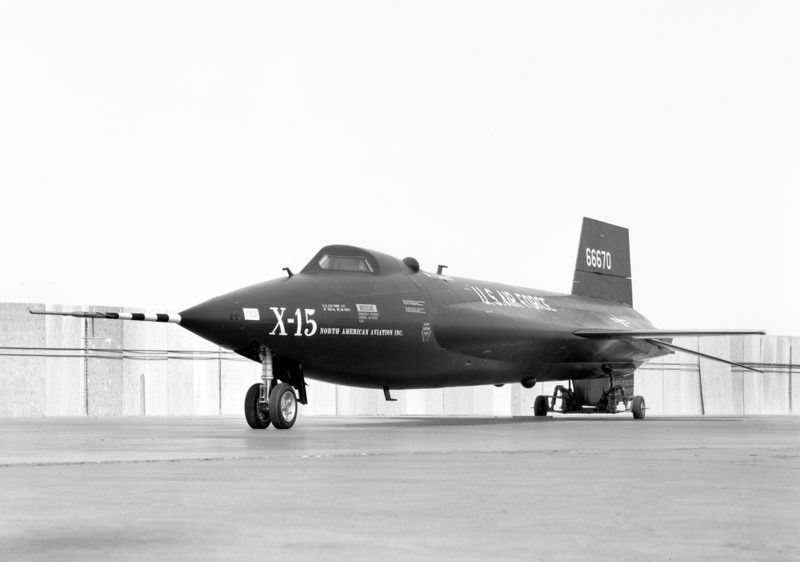 This was Knight’s 11th X-15 flight, and the 52nd flight for 56-6671. 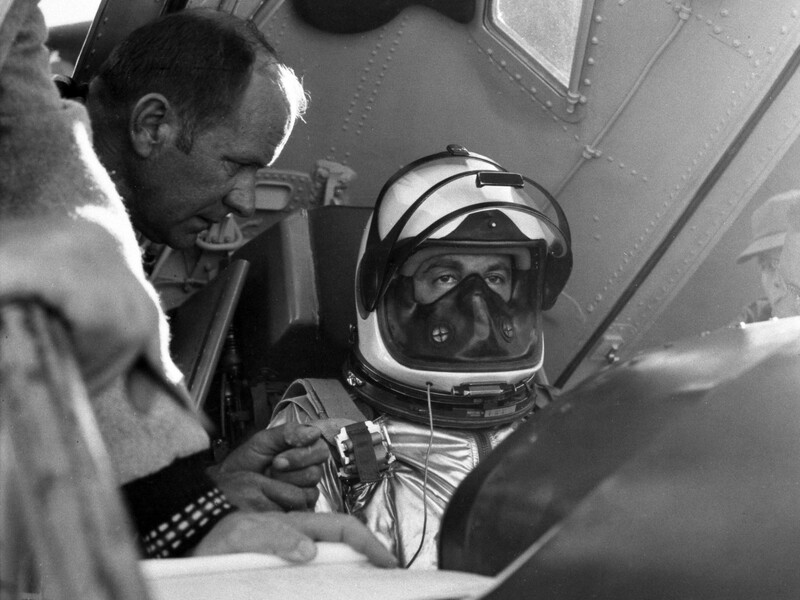 The launch time was 10:59:16.0 a.m., PDT. 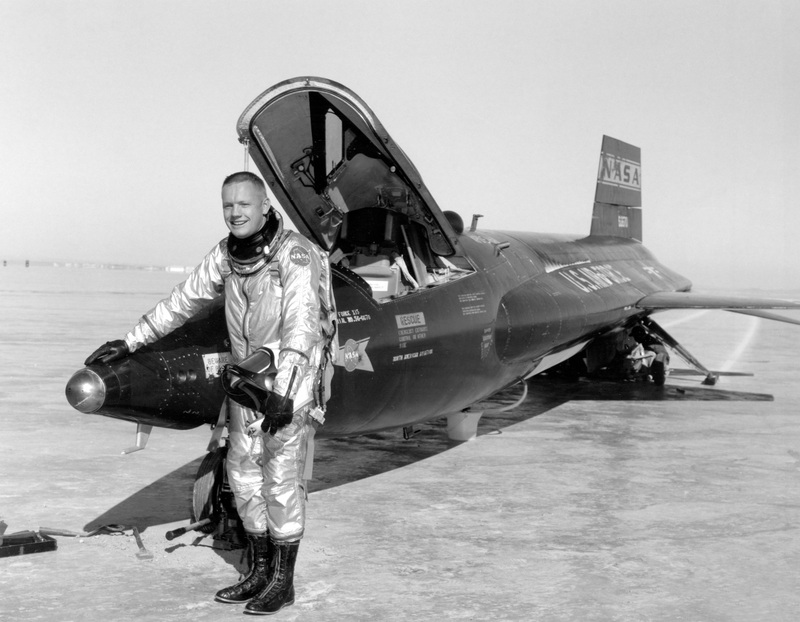 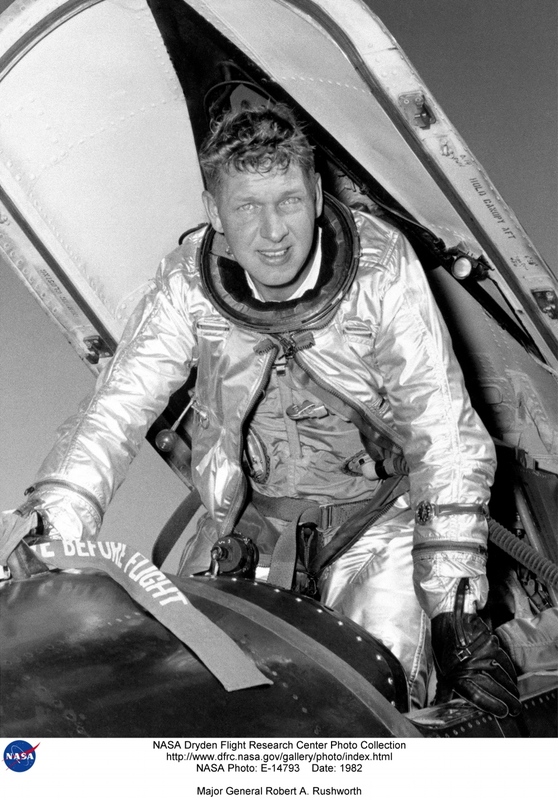 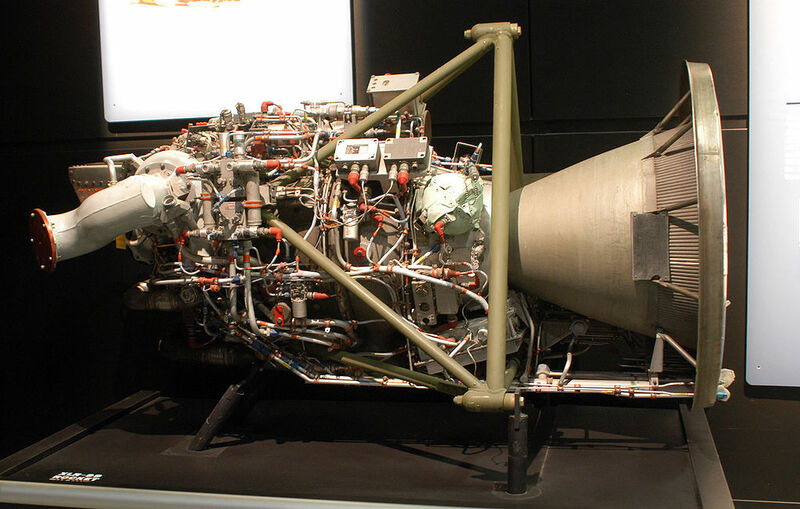 Knight fired the 57,000-pound-thrust Reaction Motors XLR99-RM-1 rocket engine and accelerated for 82.2 seconds. 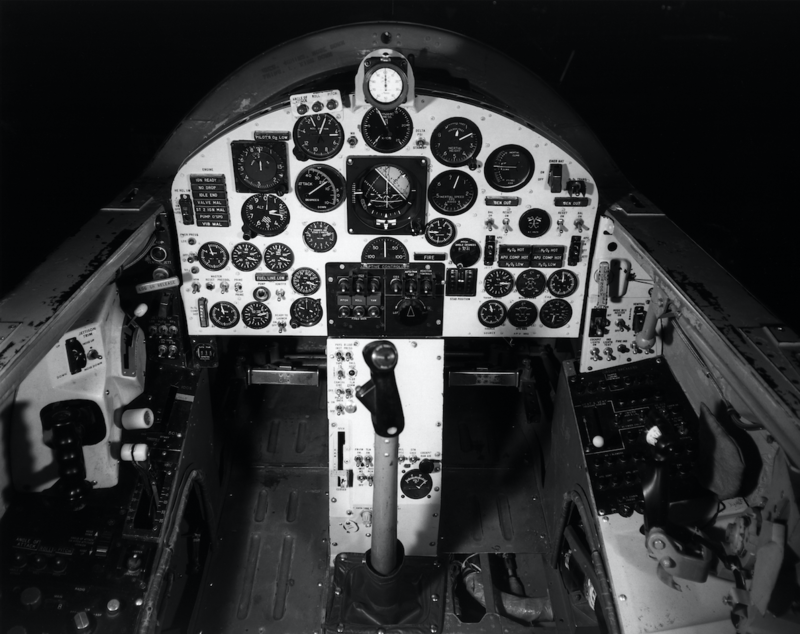 The purpose of this flight was to attain a high speed rather than altitude. 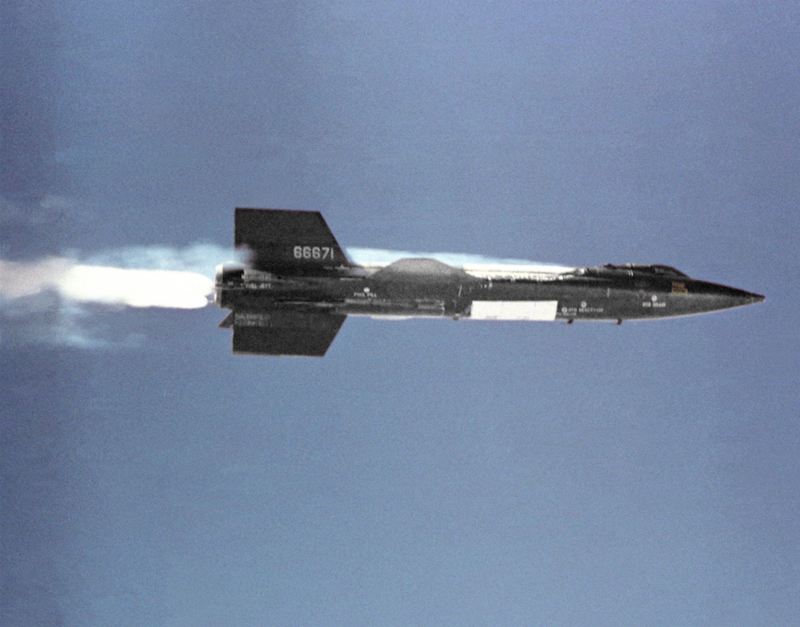 The X-15A-2 reached Mach 4.94 (3,368 miles per hour, 5,420 kilometers per hour) at 85,000 feet (25,908 meters) and reached a peak altitude of 91,000 feet (27,737 meters). 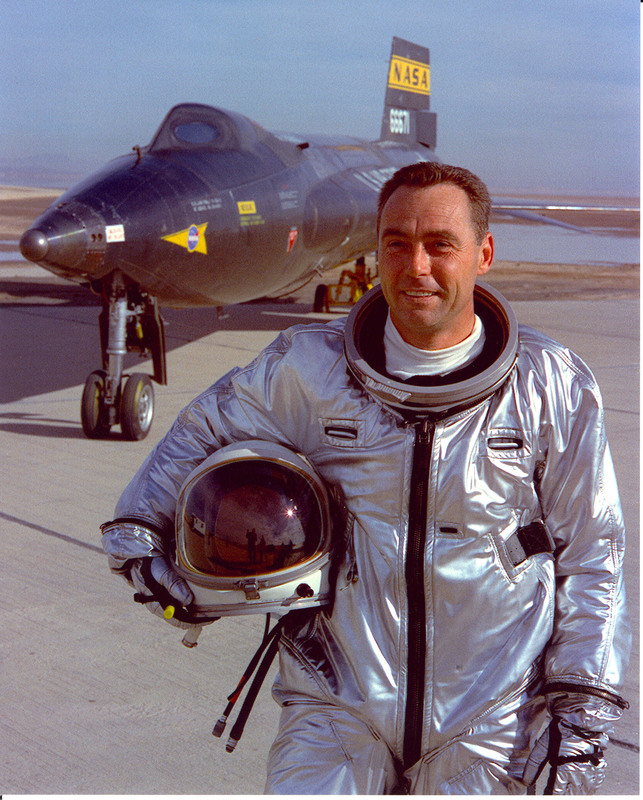 Pete Knight touched down on Rogers Dry Lake at Edwards Air Force Base, just 7 minutes, 40.0 seconds after launch.